Create unlimited folders and templates by language in order to target all countries of the world. Add variables inside your templates. 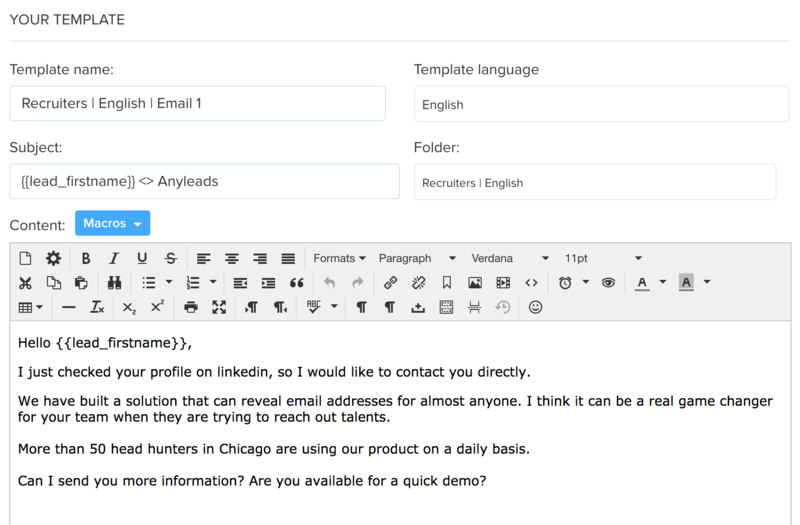 Edit your templates for sending emails with custom macros and html. Use HTML or plain text depending of who you are targeting. Personalize the subject and the content of your templates by adding custom macros. After sending emails get stats to see which template is the best for sending your campaigns.